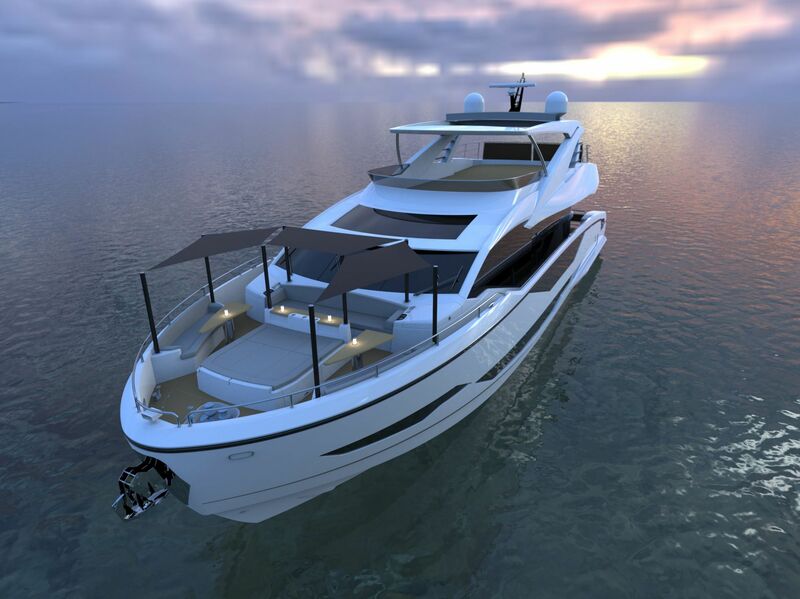 Sunseeker International unveils details on new Project 8X at boot Düsseldorf. 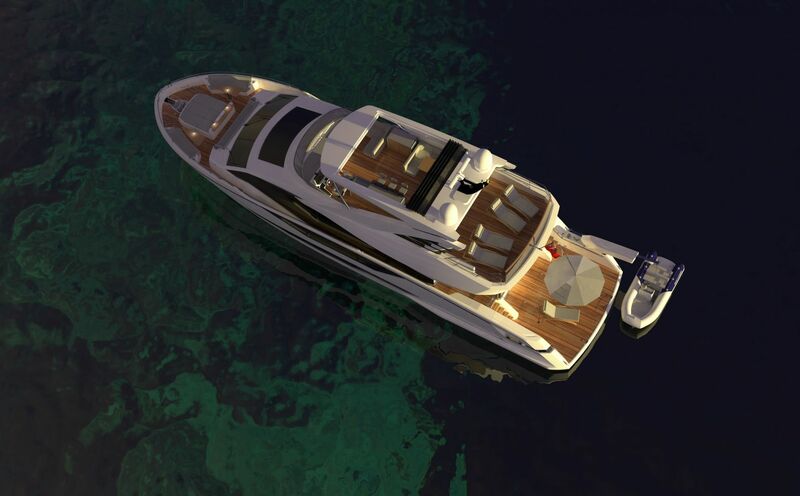 During boot Düsseldorf, Sunseeker International released details of its exciting new model, Project 8X. 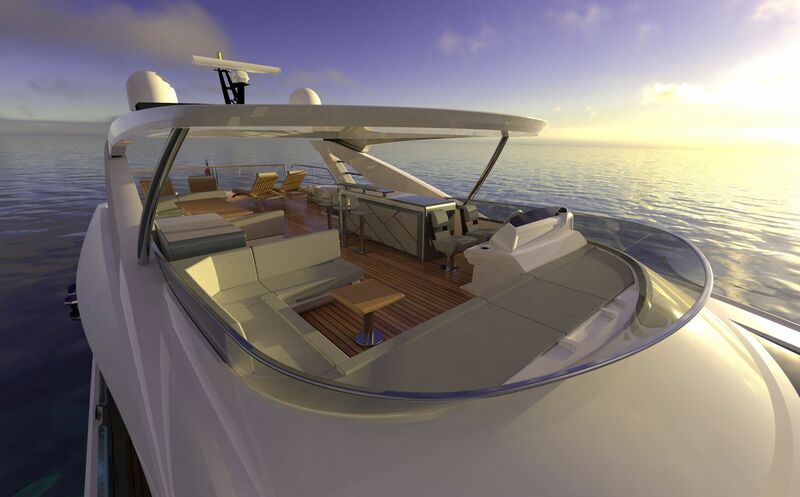 Launching in autumn 2020, Project 8X showcases the fresh design direction of Sunseeker’s next generation of larger models. Exemplifying the latest in Sunseeker’s cutting-edge design and innovative build processes, Project 8X will be fundamentally different from the current Sunseeker range, featuring striking lines, incredible volume, a sophisticated open-plan interior and a new ‘Beach Club’ concept – offering four times the area of a traditional bathing platform design. A key feature to be found throughout the yacht is the ample exterior space; designed with entertainment in mind, she offers plentiful seating, dining and sunbathing options across multiple spaces, all with new recessed ambient lighting central to their appeal. 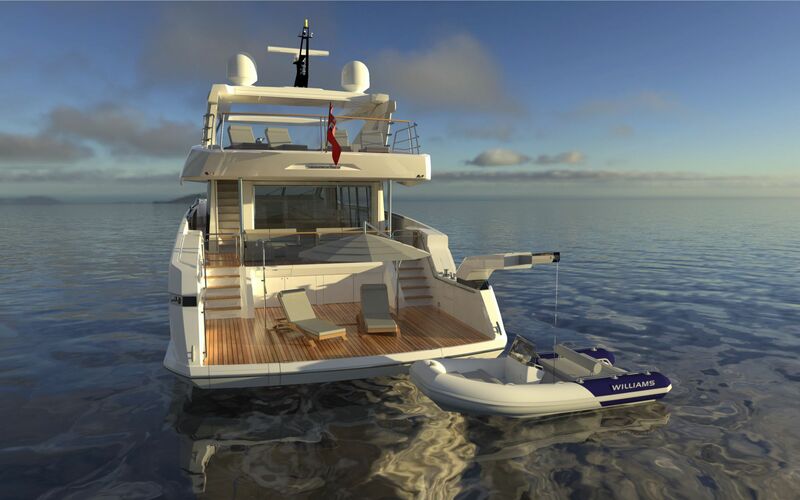 Commenting on the launch of Project 8X, Sean Robertson, Sales Director at Sunseeker International, said: “We are immensely excited about the launch of this project which we believe will dictate this sector for years to come”. The cockpit features glazed balustrade and powered mesh privacy blinds, the cockpit seating will be configurable to the owner’s wishes whilst a secondary wet bar complete with sink, fridge, icemaker and preparation surfaces creates a self-sufficient aft entertaining space. The optional side access ladder with dedicated stowage provides easy access to port or starboard when moored alongside. The spacious foredeck offers the perfect place to relax and unwind, boasting ‘vantage-point’ seating to its aft and both side decks. Centred is the large sunbathing area that comes complete with optional powered backrests and sail canopies across all seating areas. 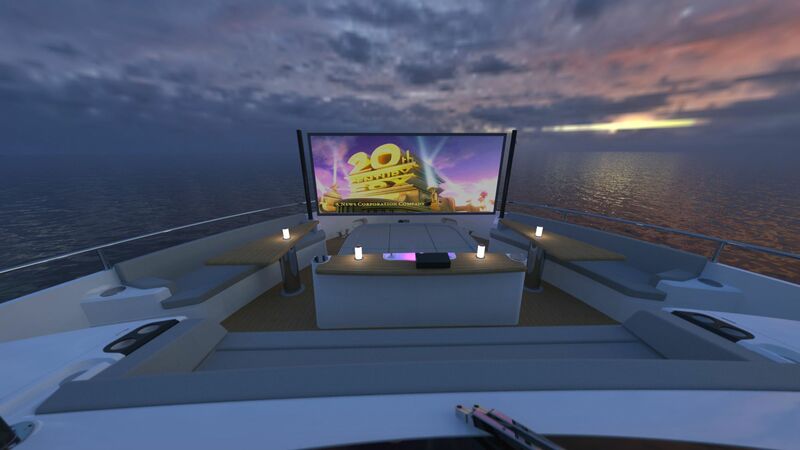 The foredeck can also incorporate a 140 inch cinema screen, laser projector and surround sound. The flybridge provides for yet another dedicated entertainment space with an expansive wet bar with stools, BBQ, helm drawer fridges, companion helm seating and optional hot tub. The considerable saloon measures a remarkable 8.8m in length by 5.6m width providing space for sumptuous modular lounge seating and chaise longue to port; all made possible by the clever concealment of multiple service items such as the a/c chiller units. Floor-to-ceiling windows flood the living accommodation with natural daylight complimented by sliding doors to port if required. A dedicated dining area for eight can be positioned to port or starboard whilst a contemporary apartment-style galley forward, with partition screens if required, offers plentiful space and direct side deck access for crew. The elegant furnishings and design are replicated below deck. A wooden feature wall leads owners into the luxurious full beam master stateroom offering panoramic views via its 2.5-metre feature windows. Creating the feel of a penthouse, the furniture has been carefully designed keeping in mind the yacht’s elegant lines, with sweeping curved bulkheads, textured panelling, curved sofa, vanity desk and a super king slatted bed that offers additional stowage below. A further forward VIP cabin with dedicated access and two twin aft cabins which can be converted into doubles, provides a yacht that can comfortably sleep eight guests in the same modern, cosseting comfort afforded to the master.